So – mentoring. Everyone seems to be at it these days: Unltd Connect are running a national scheme, there’s the Mowgli Foundation if you prefer something a bit more international, and Social Enterprise North West are running a programme that will accredit your mentor in the process! But is mentoring worth it? Undoubtedly yes – the chance to share some of a mentee’s infectious enthusiasm and the chance for mentors to help to short-cut processes and learning, and sometimes even save a venture from failure by sharing hard-earned lessons elsewhere can only be a good thing. 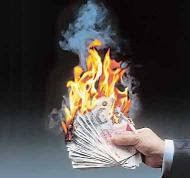 is SROI damaging our economy? Social Return On Investment (SROI) is a tool that's gaining increasing credibility and acceptance through its ability to monetise the benefits that a project or intervention accrues to the wider community and society. However, I wonder if this hasn't unintentionally led to a damaging of our economies – local and otherwise? SROI calculates the financial value of benefits that have been created – in other words, how much cash has been saved that would otherwise have had to have been spent – cash that would have supported additional jobs, purchases of equipment and so on (those things that are used to measure the growth of our economy). From this perspective, the SROI figure therefore shows how far that organisation has 'limited' and constrained the economy. Further, it also shows how concentrated the influence in the economy is within that single venture, highlighting the economy's reliance upon it - if it were to fail, then the 'shock' to the economy would be their turnover multiplied by their SROI figure. So – if you use SROI and calculate a high figure – rejoice, but also be aware of the wider implications of what it may mean for your wider impact upon the economy, both local and national... alternatively, it could mean that we just need better tools to consider how we measure and understand the wider economy? 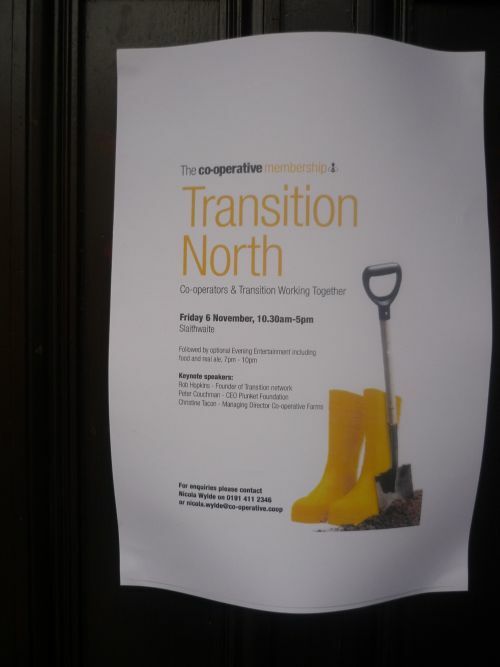 do we need a new co-op model for Transition? The Transition Towns movement is well recognised, credible and attracting increasing amounts of interest. It is also recognised and cited as being very closed aligned to the co-operative movement, no doubt due to the shared values upon which both are based. Co-operatives are recognised as taking many wondrous and diverse forms, all of which share the same underpinning and defining values, but which allow them to reflect their members’ interests and circumstances – for example, housing co-ops are structured to reflect the nature of members as tenants within the context of housing legislation, consumer co-ops reflect their members’ engagement as being intermittent (we don’t spend all of our time in the co-op shop) but we do expect to be regular and ongoing purchasers, worker co-ops where members expect to be in employment for the foreseeable future, and so on. 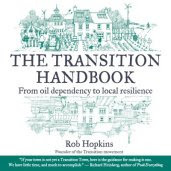 For the Transition movement, the members’ interests are transitionery – one of the principles of Transition is that obsolescence is built in from the outset, with the expectation that people will join the group based on a specific interest that may not be shared by all others, and that their involvement will ebb and flow over time rather than remain at a constant ongoing commitment (as in other forms of co-operative – see above). There is also the consideration that the group will be made up of a number of distinct themed ‘sub-groups’ who are united by their co-existing within the same geographical area, and that Transition initiatives will rarely share common sets of such groupings. Perhaps then we need to create a new co-op model to reflect this and so better support and encourage Transitioners to more easily manage and strengthen their relationships through a co-op structure. Such a model could be based around the existing consortia or secondary co-op models, with individuals becoming members of the wider co-operative, but then engaging primarily with their particular interest group within the wider Transition initiative. Each of these thematic groups would then nominate one of their number to the board of the co-op to ensure that (1) the co-op remains accountable to its members, (2) members shape and direct the co-operative themselves, (3) all parts of the co-operative are included and (4) allows individual members and the overall Transition initiative more flexibility about their level of involvement and engagement according to their own circumstances and that of the part of the initiative that they have an interest in. Have I hit upon a ‘magic bullet’ here or simply ‘missed the point’? 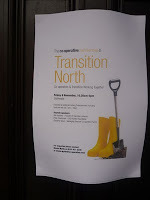 Would be good to have feedback from people within both the co-operative and Transition movements.